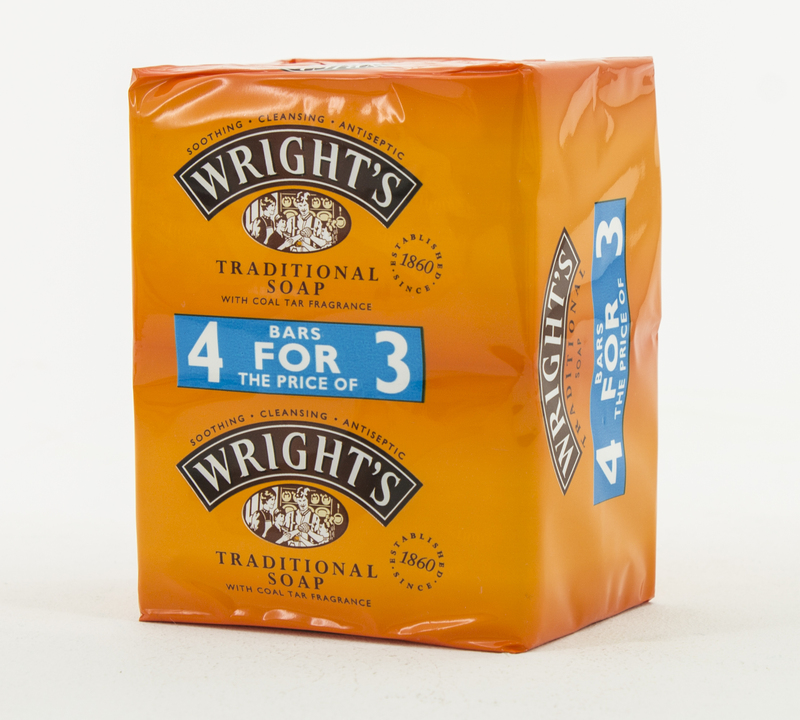 Wright's Traditional Soap has been a family favourite for over 130 years. It was originally created by William Valentine Wright in 1860, and as a product today, still retains its honest and natural appeal. Coal tar soap is well known for its antiseptic properties and capacity to aid in the removal of toxins from the body. Wright's Coal Tar Soap is ideal for use in the relief of inflammation and itchiness associated with severe dry skin. Popular with dermatologists, this cleansing antiseptic soap bar maybe suitable for a variety of skin disorders, including acne, eczema, psoriasis, dermatitis, seborrhea, ringworm and scabies.